WikiTree search results now include DNA test connections. 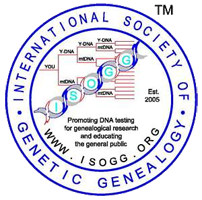 Once again WikiTree is moving forward with DNA functionality that is bleeding edge in the field of Genetic Genealogy. WikiTree search results now include DNA test connections. I know I often say those busy little WikiTreers are always busy coming up with better, innovative ways to work with it’s one single family tree, but this DNA tool on WikiTree is just great! Thanks WikiTreers Kitty Cooper, Roberta Estes, Peter Roberts and of course the WikiTree techies who fly through the limbs making our suggestions come to life. Why WikiTree Use WikiTree for Genetic Genalogy? 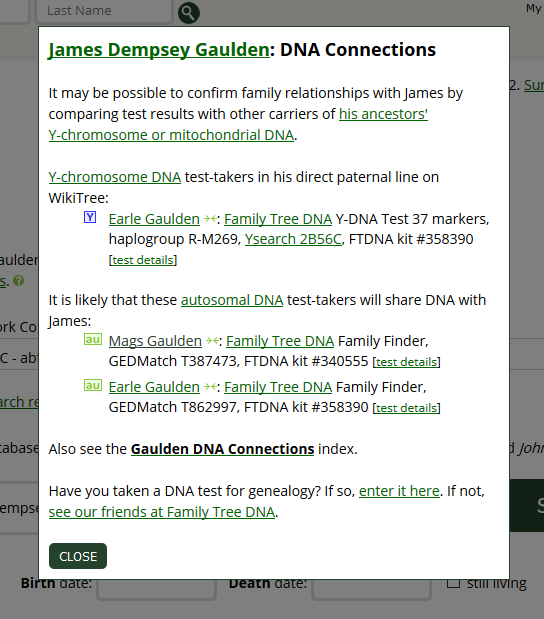 This one bit of collaboration is just another great example of how WikiTree and it’s global, collaborative Tree can be used by anyone to further their family research using Genetic Genealogy. WikiTree does all the work for you. All you have to do is add what tests you have taken to your WikiTree profile. No uploading of Raw Data, just tell WikiTree what tests you and WikiTree will auto-populate your limbs with all of your DNA test information. As the creators and hosts of the WikiTree website, we pledge that our mission is the same as that of the community: to create an accurate, single family tree that will make genealogy free and accessible for everyone. What if something happened to WikiTree, do I lose everything? Next Next post: Wee Doggie is Grandma’ s Genes ever busy this weekend!